Find Your Next Car or Truck in No Time Our Vehicle Finder is a unique online tool that helps take the frustration and hassle out of shopping for a pre-owned vehicle. You no longer have to visit countless websites hunting for the vehicle you truly want. Why bother settling for a car or truck you're not comfortable with? We'll do the hard work for you, so take a moment in use our Vehicle Finder tool. How it Works Whether you know the exact year, make, and model of the vehicle you want, or only have a rough idea of the vehicle type you're looking for, our Vehicle Finder can be a big help. Elite Auto Centre has been in the auto industry for close to 20 years and has a large network of contacts. We'll search far and wide for the pickups that meet your criteria and provide you a list of the best options available. It's that easy. Find Your Next Vehicle in 3 Easy Steps Decide on Details To get started, take a few minutes and think about what you're looking for in a truck. If you have a specific make, model, and year of a vehicle in mind, let us know. 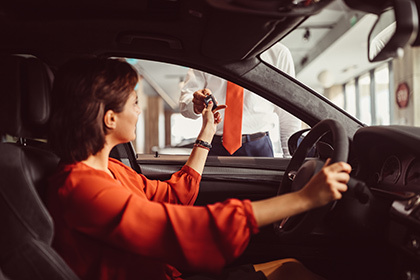 If you're undecided and looking for suggestions, decide on a few key details like the type of vehicle you're looking for, price range, and what you need it for. Fill Out Form Now that you know what you're looking for, use the Vehicle Finder form so we can get to work finding the car or trucik you've been looking for. Once we have all the info we need, we'll get to work. Take a Spin Once we find your vehicle, give you pricing, and other important info, it's now time to take it for a test drive. You'll never know if it's the right vehicle for you until you drive it. This is your chance to experience the car or truck before you buy it. Elite Auto Centre has access to thousands of vehicles for sale.